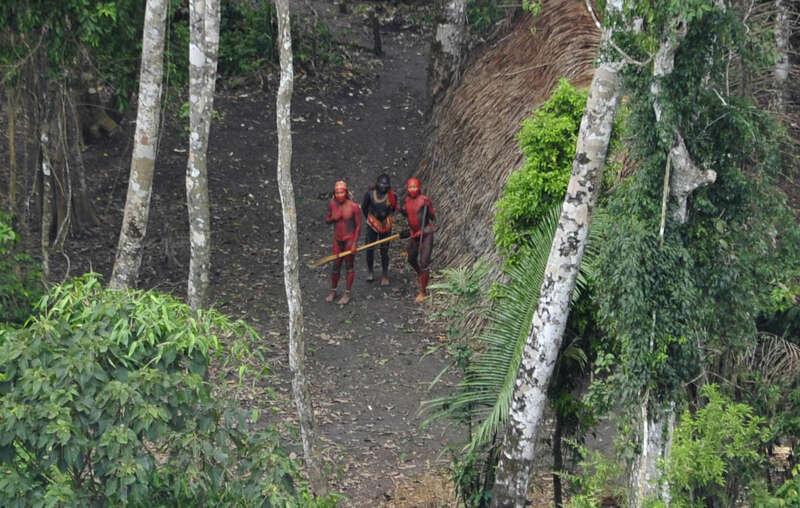 Uncontacted tribes face catastrophe. Protect their land now! Uncontacted tribes are the most vulnerable peoples on the planet. There are more than a hundred around the world. All uncontacted tribal peoples face catastrophe unless their land is protected. Only with their land secure can they determine their own futures. Please email the governments of Brazil, Paraguay, Peru and India now, to allow uncontacted tribes to survive. Emails sent: 2,527 Help us reach 5,000! Please take immediate action to protect uncontacted tribes’ land. They are our contemporaries and a vitally important part of humankind’s diversity. And they are the most vulnerable peoples on the planet. Whole populations are being wiped out by genocidal violence from outsiders who steal their land and resources, and by diseases like flu and measles to which they have no resistance. Uncontacted tribes face catastrophe unless their land is protected. Please uphold your constitutions and international law, and map out and protect all uncontacted indigenous peoples’ land as a matter of urgency. This is the only way to ensure that they can survive and determine their own futures. If your governments do not act quickly, the lives of some of the last uncontacted tribes on the planet will be destroyed forever.